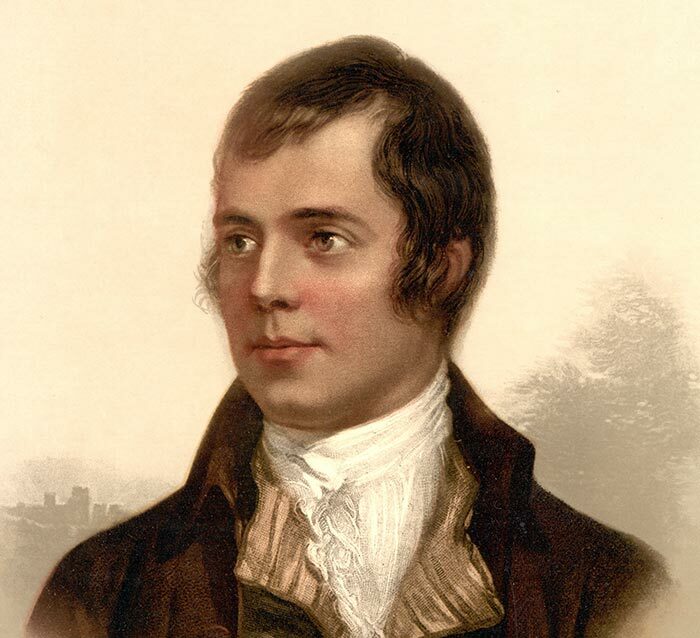 Mr Robert Burns (also known as Rabbie Burns) was a Scottish poet and lyricist who lived from 1759 to 1796 and died aged 37 in Dumfries, Scotland. On January 25th every year, Burns Supper (more commonly known as Burns Night) is held in homes across Scotland to celebrate his work. Wait, Rabbie? Why did people call him Rabbie when his first name was Robert? Rabbie is a Scottish nickname for people called Robert, the term Rab is also used. I see. So why is ‘Rabbie’ famous enough to have a day named after him? 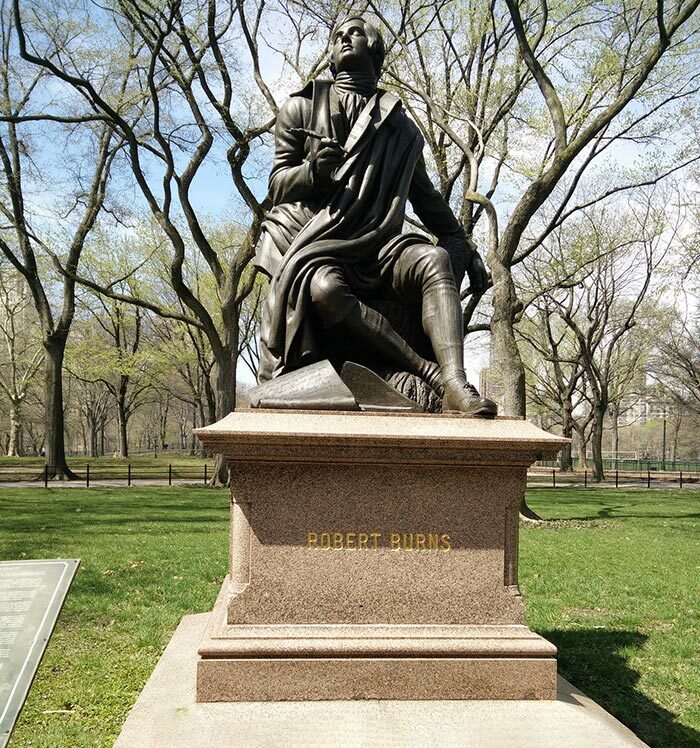 Robert Burns is arguably one of the most famous poets in history, despite his short lifespan. His notable works include Auld Lang Syne, Scots Wha Hae, Tam O’Shanter and To a Mouse. All of which are still recited to this day. He’s classed as a romantic poet and influenced many future men and women of literature, including William Wordsworth and Percy Bysshe Shelley. Essentially, his work touched and inspired so many people that during his life and after his passing he became a bit of a legend. Not just to the people of Scotland and the UK, but all over the world. The world? So he’s a pretty big deal then? Oh yes. He’s touched people as far as Canada, the United States and even Russia. In Russia, Burns is known as the People’s Poet, after his words became a source of inspiration and were representative of the common man at the time. His empathy with the oppressed that was shown in his work was popular amongst the Russian people, in particular during the time of the Emperors. 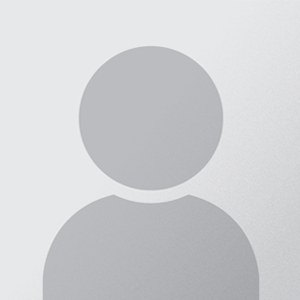 So a lot of people knew who he was, but where was Robert Burns from? Burns was born in a small village called Alloway, located just a few miles south of Ayr in Ayrshire. In fact, his original home still exists today and has been turned into a museum dedicated to his memory. Throughout his life he moved from place to place, finding homes in Tarbolton and Mauchline in Ayrshire, as well as spending a couple of years in Edinburgh. Eventually, he moved to Dumfries where he settled down with his partner Jean Armour. This is where he eventually died at the age of 37. Why did Robert Burns die? It seems like quite a young age? Even for the late 1700s the age of 37 was considered young. The average age of death for a male at the time Robert Burns passed away was around 50. Burns’ death has caused some controversy, as a definitive reason for his passing has never been provided. However, it’s widely believed that he had long-standing heart issues, which hastened his death. So, what is Burns night? Why is it significant? Burns night (or Burns Supper) was originally held five years after his death. The idea was to honour the life and work of Robert Burns but it’s a practice that has been a regular occurrence ever since. The night can be formal or informal depending on the desire of the hosts but it will typically include haggis, whisky and a recital of some of Burns’ work. Why have I never seen any of his work if he’s so famous and has a day dedicated to him? In truth, you probably have but you just don’t realise it. 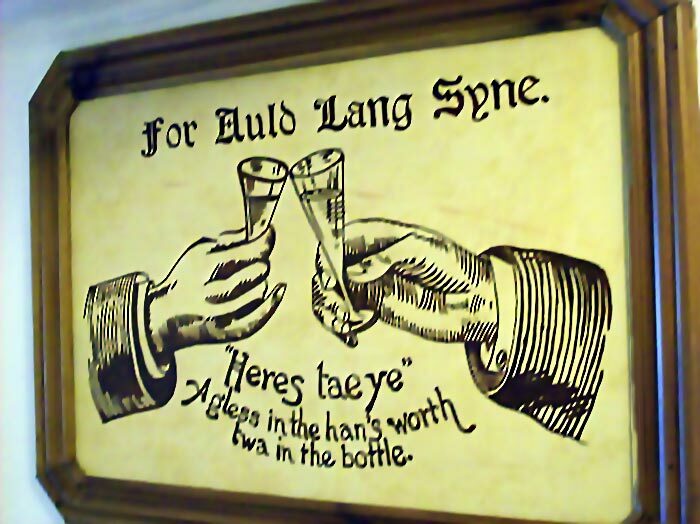 Arguably his famous and most used piece of literary work is Auld Lang Syne. A piece that is used in English-speaking countries to usher in the New Year after saying good bye to the old one. Although, it’s believed that Burns merely added to an existing piece of work, rather than creating it from scratch. Adding his own personal touch of flavour to the original. The song also wasn’t originally associated with the New Year either. It was made popular in 1929 when Guy Lombardo performed it at New York’s Roosevelt Hotel during a New Year’s Eve broadcast just after midnight, causing a global tradition that has stood ever since. Do I need to be Scottish to enjoy a Burns Supper? Absolutely not. While Burns Night/Supper is a Scottish tradition, people from all over the world are more than welcome to eat some haggis, have a dram of whisky and recite Scots Wae Hae, Auld Lang Syne and Tam O’Shanter till their hearts content.